According to the Americans with Disabilities Act (ADA), employers and their human resource personnel are limited in the types of questions they can ask during the pre- and post-job offer phase of employment. Specifically, this refers to disability-related questions as well as requirements for medical examinations. The act does not allow employers to ask disability-related questions or require medical exams until after a conditional job offer is made. The pre-job offer stage includes both the job application and the job interview(s). Employers can ask general or specific questions to determine if the applicant is qualified to do the job. These questions could be related to ability to perform job tasks, how they might carry out those tasks, and other qualifications and skills such as education, work history, and certification or licenses for the job. During the pre-job offer stage, employers cannot ask disability-related questions. Disability-related questions are those that would likely provide information about a disability such as directly asking if the applicant has a disability. However, if the question being asked is general enough that many different answers are possible, this would not be considered a disability-related question. What Are Some Examples of Questions an Employer Can Ask? Are you able to perform the required job functions as indicated in the job announcement? For example, an employer could ask someone applying as a certified nursing assistant (CNA) if they are able to perform the physical requirements of the job. Can you describe how you would perform this task? If it is possible this question could reveal a disability or need for an accommodation, then the question would need to be asked of all job applicants. Are you able to meet our daily attendance requirements? An employer can also ask questions to determine if an applicant abuses their leave such as how many days were they absent during their last job. However, they may not ask how many days were they out sick. Are you currently using or have you ever used illegal drugs? 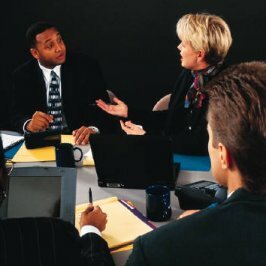 In general, an employer may not ask about legal drug use unless the question is not likely to give information about a disability. Questions about illegal drug use cannot be about drug abuse or addictions or treatment for addictions and abuse. Do you drink alcohol? Questions cannot address frequency of alcohol consumption nor treatment for abuse of alcohol. In the pre-job offer stage, employers cannot require medical examinations that provide information on the applicant’s general health or physical or mental impairments. Physical tests are allowed if it is a requirement of the job such as running or lifting. Once the applicant receives a conditional job offer, the employer is permitted to ask disability-related questions and request medical exams. However, the employer must ensure that all applicants applying for this position receive the same questioning and examination requirements. The employer must also ensure that all medical information is kept confidential. More detailed information on this topic can be found at the U.S. Equal Employment Opportunity Commission website. I have a job interview on Thursday. I am required to take a test on the day of my interview. When or how can I ask for accommodation for the test? Is it okay to disclose I have a learning disability and if I do, how specific must I be? I get extremely anxious when I know I have to take a test for work, so anxious I get extremely emotional, sometimes to the point of crying. Iâ€™m so nervous and do not want to take the test. Do I have any options? Hopefully this answer is not too late to be helpful. You have the right to disclose your learning disability prior to employment. 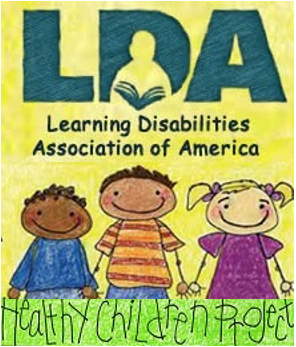 Read the information at https://ldaamerica.org/disclosing-your-learning-disability/, as well as the “additional resources” information listed at the bottom of that article. Consider contacting the Job Accommodation Network at http://askjan.org (or call them at 800-526-7234) and speak with one of their job accommodation experts about your situation. When you decide to disclose to your employer so you can request testing accommodations, contact the Human Resource office. They may require you to provide current disability documentation, so you should take that with you. 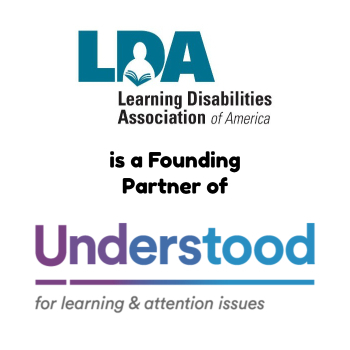 You might also want to print a copy of the article at https://ldaamerica.org/what-employers-should-know-about-learning-disabilities/ and take that, too. Before disclosing, know the essential tasks of the job and/or test and be prepared to answer questions about what accommodations you need to succeed. How can i procect myself from getting discipline due to the effects of my learning disorderin the work place? I believe that i have dyslexia in school i was diagnosed with just general learing disorder. Now that i am in the work place it has become more obvious and a problem. What can i do? It sounds like you would benefit from contacting your local adult education office to find out about signing up for their classes to prepare for taking your high school equivalency exam. 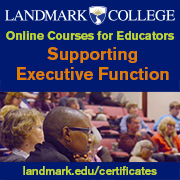 When it is time to take that exam, you may need to have accommodations, but they should be able to help you get testing for your LD as well as the accommodations that you need. Good luck!